Thomas J. McReynolds (“TJ”) is an experienced and dedicated Indian law practitioner who focuses on tribal economic development, energy & environmental matters, and Indian land and water rights. He has represented tribal clients in major fee-to-trust conversions, gaming and hospitality developments, land acquisition matters, monumental energy projects, oil and gas matters, and complex water rights settlements. He also provides legal advice to tribal governments concerning governance issues, corporate matters and also drafts laws, ordinances and regulations. His specialties include, Indian Gaming, fee-to-trust, tribal government, water, environmental law, oil and gas, and economic development. TJ was raised at the Pueblo de San Ildefonso, NM, and began his legal career in 2003. 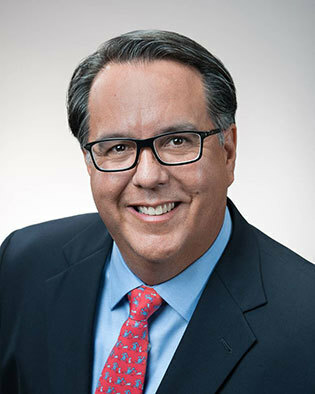 Upon graduating from the University of Denver, Strum College of Law, TJ clerked for the Honorable Nathan B. Coats of the Colorado Supreme Court and then joined an International Law firm in Washington, D.C. representing tribal governments and advocating for them before various federal agencies and congressional delegations. After his stint in Washington, D.C., TJ moved back west (he missed the mountains and sunsets) working as general counsel for a large tribe’s gaming regulatory body and then for a boutique Indian law firm where he continued his representation of tribal governments and tribally owned business and gaming facilities. TJ is admitted in Colorado, Washington, D.C., New Mexico and Arizona. He is also admitted to the Tenth Circuit Court of Appeals.